Have you ever heard the word “edutainment”? It’s a loose term that describes any form of learning that utilizes entertainment in some fashion or another. It sure adds a fresh spin to traditional textbook learning! When it comes to language learning, movies are one fun, effective form of edutainment. I’m talking about contemporary, high-budget releases here. I recommend films that cast Mandopop singers as the lead. Why? Pop idols are all the rage in China, Taiwan, Hong Kong and Singapore. Some of the more successful ones make their way to romance and period dramas on TV, and some eventually get to the big screen. So it’s a fun, unique way to learn not only more about Chinese language and movies, but also modern Chinese pop culture. Today we’ll take a quick look at where the Mandopop industry came from, including how things stand these days. 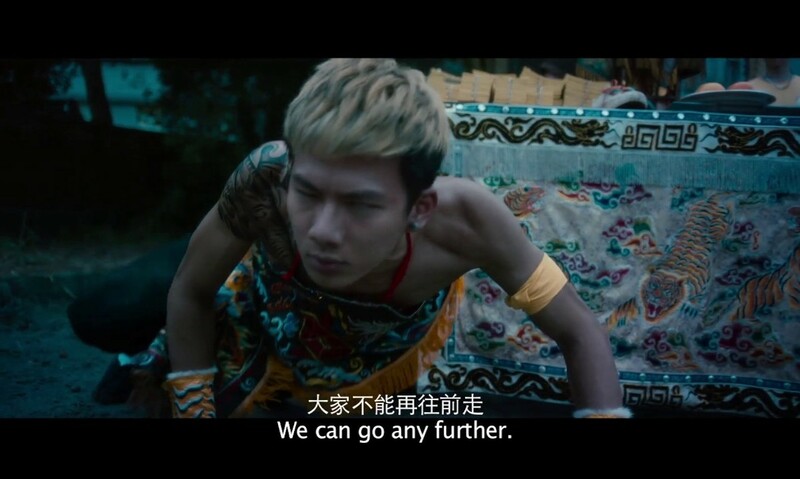 Then we’ll look at six Chinese movies starring Mandopop idols that you should watch to learn while you have fun! Pop music was banned during China’s Cultural Revolution, between 1966 and 1976. Musicians had to submit their lyrics to the Ministry of Culture for approval. However, during the same period of time, pop music flourished in Hong Kong and Taiwan. Folk singer Teresa Teng is considered a standard-bearer in the pop industry, after she rose to fame in Taiwan in the late 1960s. She also gained popularity in Hong Kong, paving the way for Mandopop and even Cantopop idols. From Teresa Teng onward there have been many idols who are just as big in Taiwan and Hong Kong as Taylor Swift is in the U.S. Some of the popular idols from the 1990s include A-Mei, Valen Hsu, Ipis, S.H.E. and my personal favorite, Coco Lee. Fast forward to the 2000s. You now have idols like Jay Chou, Aaron Yan, Rainie Yang, By2, Genie Chuo and my other favorite, Joline Tsai. Of course, simply naming the pop idols doesn’t do the industry justice. The full list is just as exhaustive as the list of idols in the Western market. But you should definitely check out the musical and cinematic work of these idols. Movies are ideal for learners who have already been studying Chinese for several years, and who can identify slang and keep up with native-level dialogue. However, even beginners can pick up a few new words and even slang terms by watching a conversation in context. Beginners can pick up new vocabulary in this manner. Repeatedly hearing certain words on the big screen can prompt viewers to look up the words to confirm their meanings. Incidental learning is essentially unintentional or indirect learning. Being exposed to a language, whether through in-person dialogue or watching movies, is a form of incidental learning. A study from Azad University in Iran showed that English as a Foreign Language (EFL) students were able to learn and retain more vocabulary when watching movies with subtitles. Most contemporary Chinese films are not available on streaming services like Netflix or Amazon Prime. YouTube has a few films in their entirety, though even there not all of them have subtitles. Fortunately, there are some sites where you can (legally!) stream Chinese movies for free. The drawback, though, is that the videos can generally only be streamed if you have an IP from China. Otherwise, you’ll get one of those “Sorry, this video is not available in your region” messages. What you need is a VPN server from China. Use a service like HideMyAss! VPN to unblock the restrictions and access all the films from your desktop and mobile devices. These sites are all in Mandarin, so if you’re having trouble navigating, just look for the link to movies, which will appear as 電影 (Diànyǐng). Without further ado, here’s a list of films starring some of the hottest and in-demand idols. Asian horror movies rose in popularity internationally around the release of the chilling American films “The Ring” and “The Grudge” in the 2000s, both of which were based on Japanese horror flicks. In “Tag-Along 2,” Rainie Yang plays a social worker in search of her missing teen daughter who has disappeared on a reportedly haunted mountain. In her quest, she unravels many terrifying mysteries. In this film, you’ll learn some cool terms that you might not pick up in a standard Chinese course. This includes vocabulary like demon – 惡魔 (è mó), ghost – 鬼 (guǐ) and curse – 詛咒 (zǔ zhòu). Pretty cool words to know when discussing topics like Chinese urban legends and other creepy stuff. 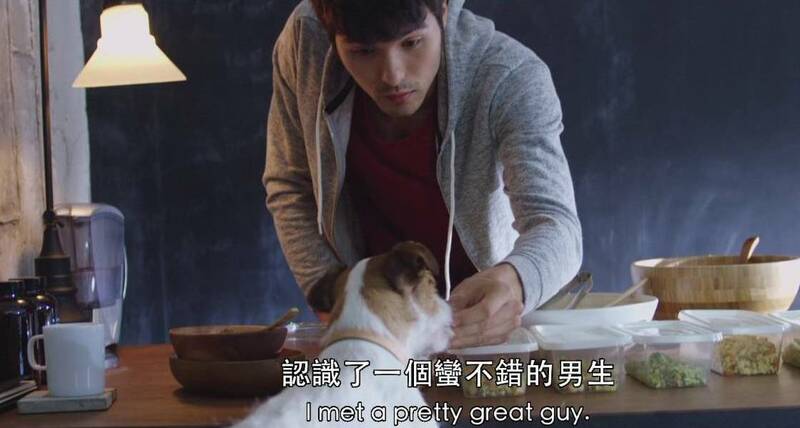 This is a family-friendly film starring Chinese heartthrob Aaron Yan. It’s about a daughter returning home from Beijing after a brief leave of absence—only to reveal that she has given birth to a child. This creates conflict spanning across three generations of family members. This movie provides a glimpse into the Chinese family structure and how it differs from a Western family. You’ll also learn family-based vocabulary. 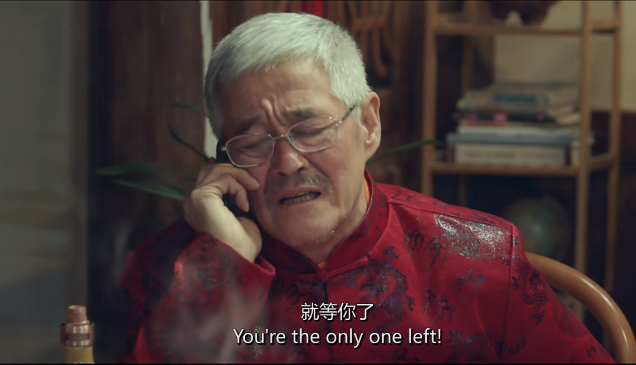 In Mandarin, there are multiple terms for words like “uncle” and “aunt,” depending on which side of the family the person is from and whether he/she is older or younger than your parent. Tia Li Yufen rose to fame as one member of the trio band Dream Girls. In this psychological thriller, Yufen’s character’s world is turned upside down when human remains are discovered on her property. Her cardiologist father and forensic doctor boyfriend soon become suspects. Expect to hear lots of medical and forensic terms, like those you may hear from an episode of “CSI.” This may include words like autopsy – 驗屍 (yàn shī) or postmortem – 事后 (shì hòu). 4. “G-Force” – “一路逆风” (yī lù nì fēng), Starring G.E.M. 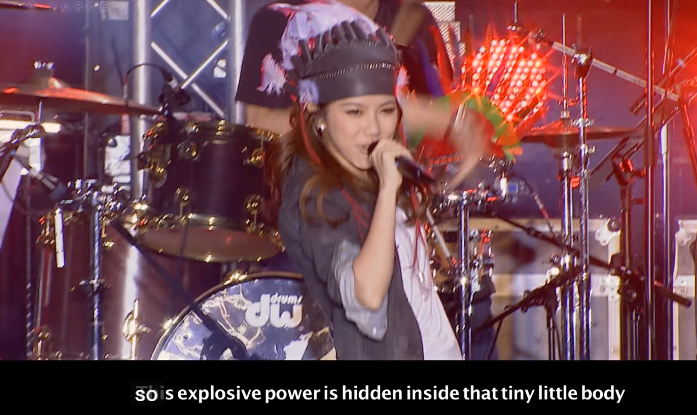 This docu-film chronicles the journey to stardom for famous idol G.E.M. If you’re already a fan of the Hong Kong-based singer, you’ll enjoy the interviews with family members, producers and G.E.M. herself. The interviews are in Mandarin, English and even Cantonese. There’s definitely vocabulary to be learned by watching the various interviews where G.E.M.’s life, or 生活 (shēng huó), is discussed. 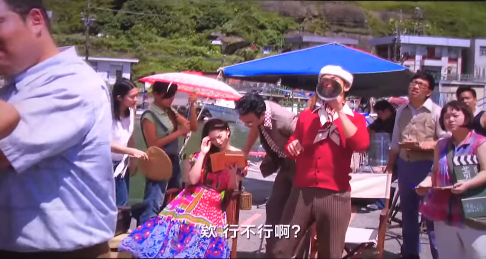 This Taiwanese musical film takes place in a fantasy world where conflict arises between two communities—a happy-go-lucky group that lives and sings on a rooftop, and a more affluent class that lives below. The link above is to the whole film, though there are no English subtitles. This musical is a great way to improve your Chinese since learning through songs is another way of acquiring new vocabulary and adding a fresh breath of novelty. Research also suggests a cognitive connection between music and language learning. A 2008 study showed that subjects who heard a series of unfamiliar words were more able to accurately distinguish one word from the next when the words were sung. If you enjoy romance films like “The Notebook,” then you’ll like “My Egg Boy.” It’s about a woman seeking love and hoping to start a family soon. She eventually meets Mr. Right, and their journey takes them to the wintry Alps where the snow becomes a symbol for a love frozen in time. The link above is to the entire film with English subtitles. Lin’s character is a chef so there are many references to food and cooking. Vocabulary to listen for include words like fresh – 新鲜 (xīn xiān), frozen – 冻结 (dòng jié) and other terms pertaining to food types and preparations. Pop idols are ingrained in modern Chinese culture and influence, and their presence on the big screen is becoming more commonplace. Why not tune in to some of these films? You just might pick up a few new words and grammar concepts here and there. Grab some popcorn and a drink and enjoy a good movie—all while enriching your understanding of Mandarin Chinese in the process!